Trazodone is a common antidepressant that is available almost worldwide. Furthermore, it is one of the most common antidepressants in the market. In fact, in 2014 alone, doctors gave out 26 million prescriptions of the drug in the US. Besides depression, some medical experts have also agreed that patients may take Trazodone for anxiety. Italian scientists from Angelini Research Laboratories discovered Trazodone in the 1960’s as a second-generation antidepressant. However, its approval in the US only came about in 1981 after the Food and Drug Administration finally allowed its sale. It is considered as the first non-tricyclic antidepressant the FDA approved in the US. The treatment of different types of anxiety may sometimes require varying drugs or therapies. It is almost impossible to say that a single treatment or drug can work for all kinds of anxiety disorders. Hence, for this reason, it is advisable that patients always consult medical experts before taking any medication such as Trazodone for anxiety. Can I Use Trazodone For Anxiety? Scientists have grouped Trazodone under the serotonin antagonist and reuptake inhibitor (SARI) class. Some mental disorders such as depression and anxiety are often linked to an imbalance in a person’s serotonin levels. Trazodone can help to rebalance a person’s serotonin levels by helping block the reuptake of the said neurotransmitter. Although anxiety is an off-label use of Trazodone, many scientists agree that it is effective in reducing the symptoms of the disorder. Besides depression and anxiety, some studies and reports attest that Trazodone can efficiently treat other mental disorders. Medical experts, however, advise extreme caution when taking drugs such as Trazodone for their off-label uses. Trazodone may help you reduce the symptoms of anxiety. However, just like with any medication, one must take additional precautions when taking it. Make sure to first get an opinion from a competent medical expert before taking Trazodone for anxiety. Also Read: Does Prozac work For Anxiety? 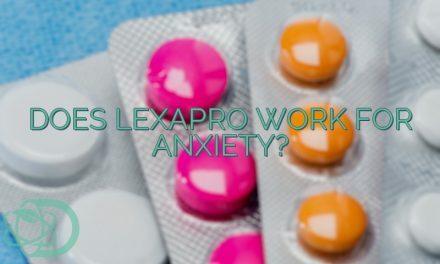 PreviousDoes Prozac work For Anxiety? NextDoes Clonidine Work For Anxiety?